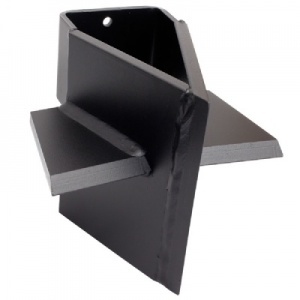 Using this cross shaped wedge in conjunction with the Lawnflite LS80P log splitter means the logs can be split into four making them smaller for burning. Features a B&S 8hp engine. 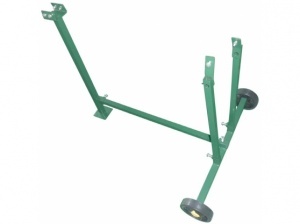 This stand makes your Handy log splitter even easier to use. It is designed for the THLS-4 splitter, and brings it up to waist height, while also including transport wheels fore easy transportation. 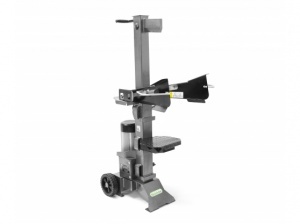 A metal stand to suit the Lawnflite LS2000DUO log splitter. Comfortable and stable for working at waist height. 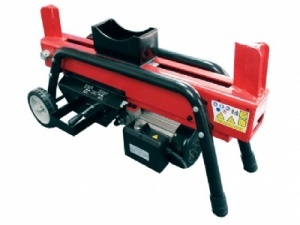 With a 1500 watt electric motor, this log splitter benefits from 4 ton splitting force, yet is compact enough to fit easily in your shed or garage. 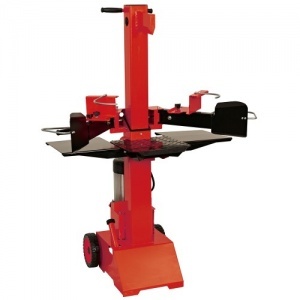 Electric log splitter makes splitting wood a simple and safe task. 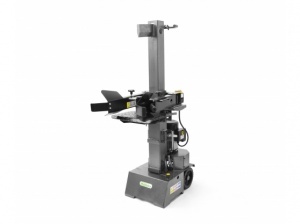 This is a powerful yet easy to use firewood saw bench, complete with a range of safety features and the ability to cut branches and timber up to 140 mm in diameter. 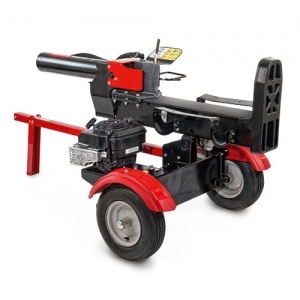 This is a robust log splitter with a powerful 2200 watt engine, boasting a 7 tonne splitting force that allows you to make light work of preparing logs for open fires or wood burning stoves. 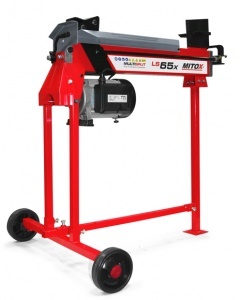 The LS65x model improves further upon the specification of the LS40 with a more powerful 2200w motor, providing up to 6.5 tonnes of reliable splitting power. 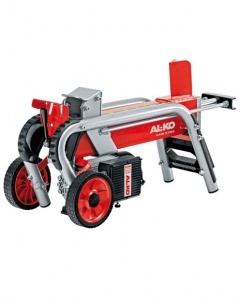 Thanks to its powerful 2700 watt electric motor, this log splitter can produce six tonnes of splitting force, tackling logs up to 107 cm long and 30 cm thick. 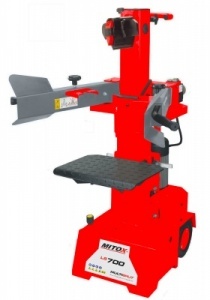 The Mitox LS700, is a powerful 240 V electric powered vertical log splitter with a maximum splitting force of 7 tonnes. Powered by a 3000 W motor. 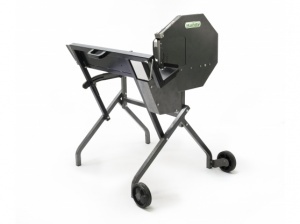 With its 3000 watt electric motor, Handy's THPLS7TE is a powerful log splitter that can cope with virtually any log, from 120 mm to 320 mm thick, and right up to 1040 mm long. 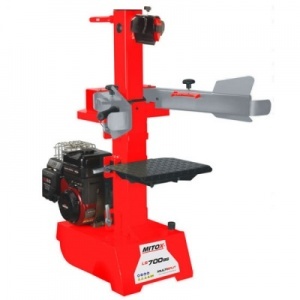 The tractor mounted hydraulic log splitter makes your jobs a pleasure. 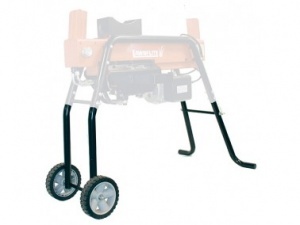 Using the tractors hydraulic system, the LS100 is strong, and yet features a simplistic design. 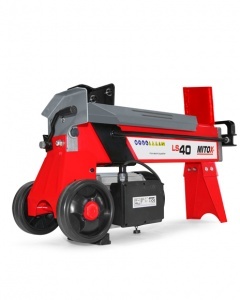 The versatile Mitox LS700BS, is a petrol powered vertical log splitter with a maximum splitting force of 7 tonnes, giving you the added freedom to work away from a power supply. 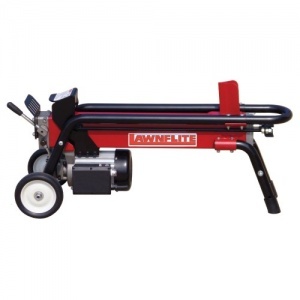 The Lawnflite LS550 log splitter is great for splitting hefty logs. 25 tonnes of pressure can be applied to split logs of up to 25 inches in diameter, and includes a robust B&S 650 series engine.